Amman, Nov. 29 – The 11th Annual Forum for Arab investigative journalists opens at Jordan’s Dead Sea Convention Center tomorrow (Nov. 30) with more than 400 regional and international participants exchanging tools of the trade and exploring how digital innovation can advance accountability journalism in the Arab world. 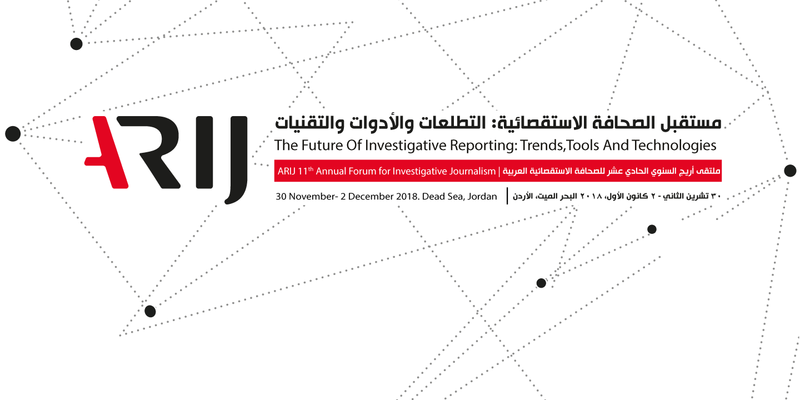 The three-day Forum, the only event like it in the Arab world, is organized by the award-winning Arab Reporters for Investigative Journalism (ARIJ), which has worked since 2006 to promote a culture of “accountability journalism” in a region where the powerful are not used to being held to account. This year’s Forum has been organized around the theme of “The Future of Investigative Reporting: Trends, Tools and Technologies”. Some 60 international and Arab trainers, the best in the trade, will run 50 training sessions and workshops, largely dedicated to harnessing digital technology to create work that has impact. ARIJ sees technology combined with deep reporting on issues of public concern by brave investigative journalists as the way to bring about accountability, transparency and good governance. ARIJ Executive Director Rana Sabbagh thanked the Jordanian government for help in facilitating the Forum by easing visa processing and granting needed security clearance. For the second year running, at least five international media support groups will host bilateral meetings on the sidelines of the Forum. Its central location and willingness to grant visas to many restricted Arab nationalities has made Jordan a convenient meeting spot for connecting with regional colleagues, especially those from war-torn countries such as Yemen, Libya, and Syria. For three years now, the IJNet Arabic Mentoring Center for MENA Media Startups of the International Center for Journalists has chosen the ARIJ Forum as the location of its final boot-camp, said Madonna Khafaja, ICFJ ‘sMENA Lead. She called the Forum an enriching, valuable experience for center participants hoping to become media entrepreneurs. CFI, he added, will hold its second workshop on “humanitarian journalism” for Yemeni journalists also attending the Forum. Tom Law, director of campaigns and communications for The Ethical Journalism (EJN), said the professional organization, excellent program, and extensive networking provided at the ARIJ Forum, all made it easy for EJN to decide to hold its second meeting of the Arab Media Working Group To Combat Hate Speech in Journalism at ARIJ18. Block chain technology and Artificial Intelligence are two of the cutting edge tools the Forum will connect to journalism. Advanced techniques for fact checking, to insure safety and security for journalists and their sources, and to dig deep online will be featured. 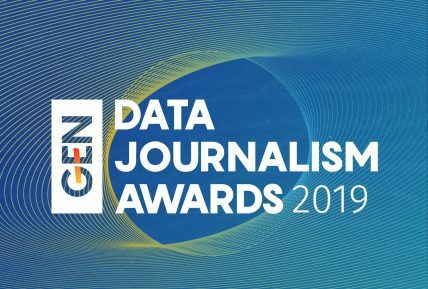 Other programs will walk participants through virtual reality, how to make sense of company accounts, and new trends in data journalism and immersive storytelling. Top trainers will teach mobile journalism, podcasting, combining high-tech and traditional reporting, pitching stories, and investigative interviewing. The Forum comes at a time when independent media is increasingly being muzzled and civil and political liberties are being rolled back. In contrast to the brief Arab Spring of 2011, journalists today face unprecedented pressure from a wide array of media funders; autocratic regimes, rival political parties, businessmen seeking political roles, and warring militias. The Oct. 2 assassination of Saudi writer Jamal Khashoggi, and the Nov. 23 slaying of Syrian journalist Raed Fares in Idlib, Syria, remind how far some Arab states and local militant groups will go to silence critics. The conference ends Dec. 3 with a Gala dinner, where winners in five categories of the ARIJ 2018 journalism competition will pick up their awards. That will be followed by a live concert by Autostrad, the Mediterranean indie band from Amman, Jordan, formed in 2017. ARIJ core activities are funded by the Swedish International Development Cooperation Agency, IMS, the Danish Arab Partnership Program, the Open Society Foundation, the Royal Norwegian Embassy, Embassy of The Kingdom of The Netherlands in Amman, and the Friedrich Naumann Foundation. ARIJ18 partners include The French Agency for Media Development, The Friedrich Ebert Foundation, Facebook, DW Akademie, the German Federal Ministry of Economic Cooperation and Development, Google, The Norwegian Institute for Journalists, The Thomson Foundation, Open Media Hub, GIZ, the International Center for Journalists, International Journalists Networks powered by Google News Initiative, the Rory Peck Trust, Frontline Freelance Register, Global Witness, Finance Uncovered, Free Press Unlimited, Ethical Journalism Network, Marie Colvin Journalists’ Network, Security Assistance Monitor Program at the Center for International Policy, Bellingcat, Women In News – WAN-IFRA, the French Embassy in Amman, NewNode, Journalists for Human Rights the Organized Crime and Corruption Reporting Project and the Global Network for Investigative Journalism, National sponsors are Royal Jordanian, Hilton By Dead Sea Hotel, Al Jeed Al Jadid, Maani Ventures, Media Plus, and the Jordan-Kuwait Bank.